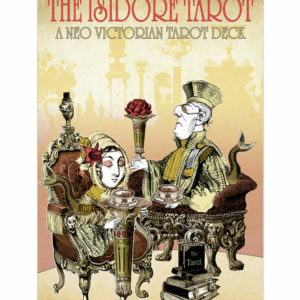 The Isidore Tarot - Full Packaging | The Attic Shoppe Trading Co. 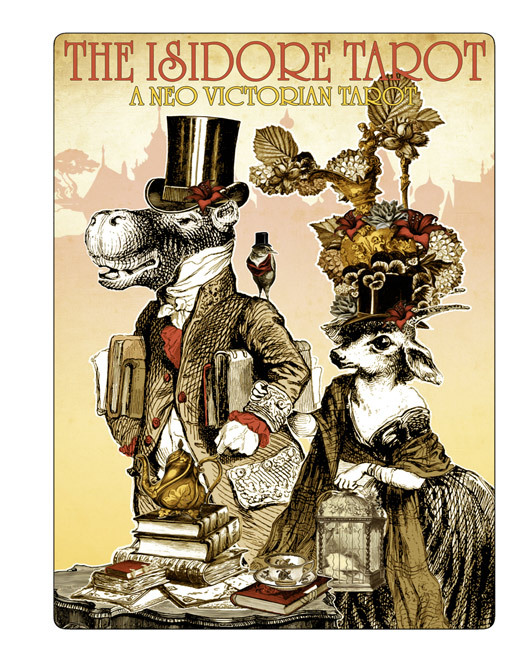 FINAL SALE: By request we're extending our last sale of the Isidore Tarot's second edition a week longer. This sale ends Dec 5th and the second edition will be tucked away. Decks purchased through this sale will begin shipping Dec 9th. *If you're looking for the more slimmed down version of this deck, please follow this link to order the light packaging version. This features just the deck and book and works well for more conservative budgets. **This listing is for shipping destinations within the US. If you're an international customer please contact us with your city/country of origin for calculated shipping to your destination. Thank you! 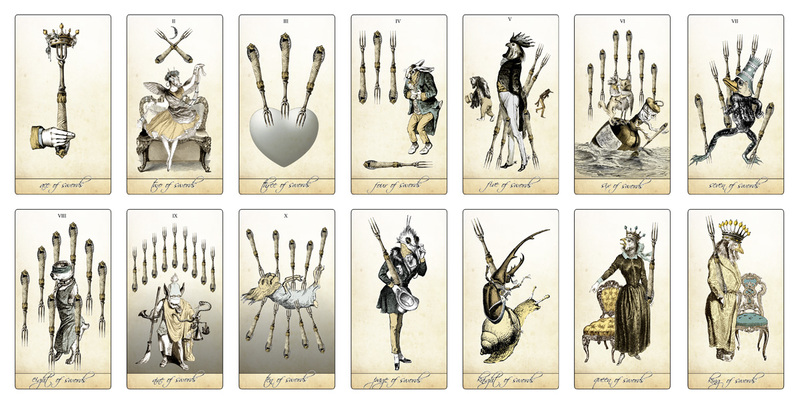 The cards are 2.75″ x 4.75″ in size. 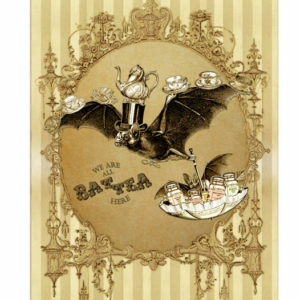 They’re printed on 300gsm card-stock that is sturdy and has a smooth finish. Cards have a blue core that helps prevent transparency of the card so both sides feature brilliant colors. They’re very easy to shuffle and good for everyday use. 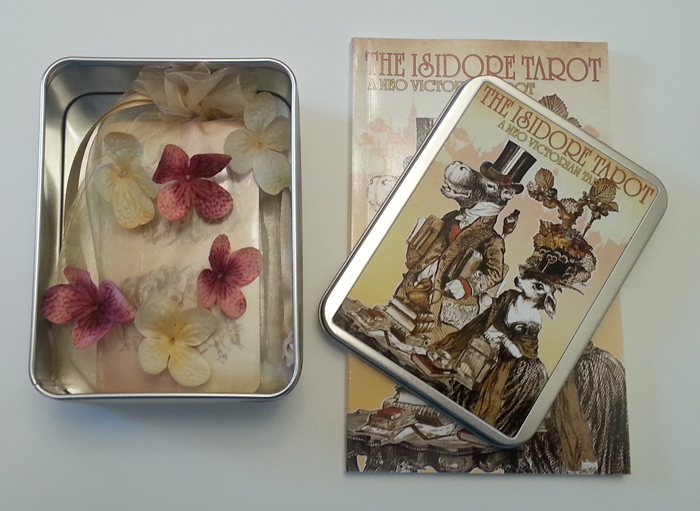 The deck comes packaged in shrink-wrap in a sheer organza drawstring bag, within a tarot deck tin featuring a few extra packaging decorations. 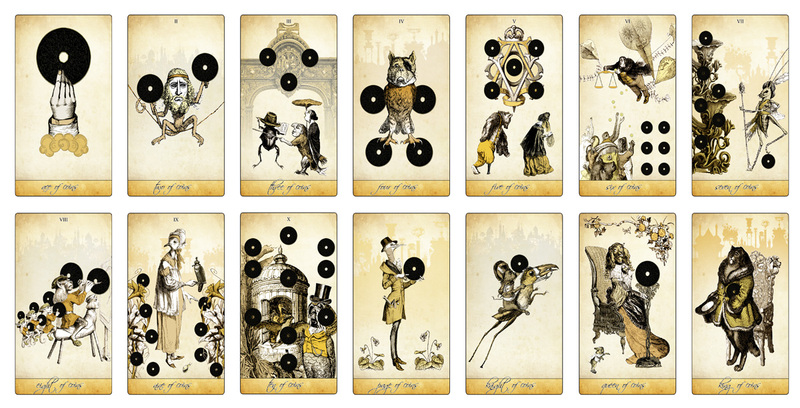 The deck comes with a companion book of basic card meanings. 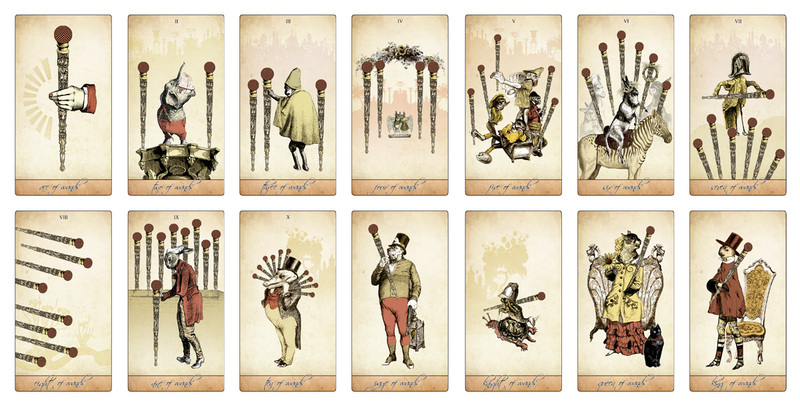 To see samples of the entire deck as well as look through the companion book, visit our Isidore Tarot page here. 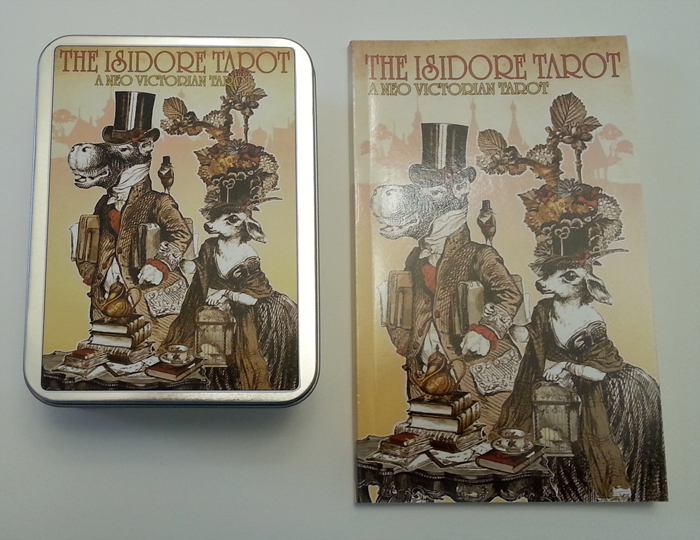 This listing is for the second edition Isidore Tarot deck. 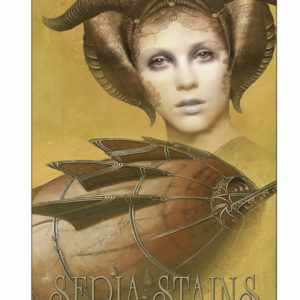 Deck includes tarot deck tin, sheer organza drawstring bag, and companion book of brief card definitions & character info. 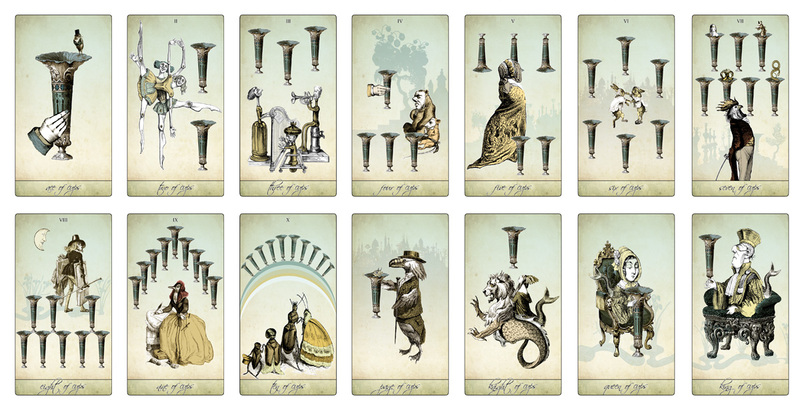 Cards are standard tarot deck size. 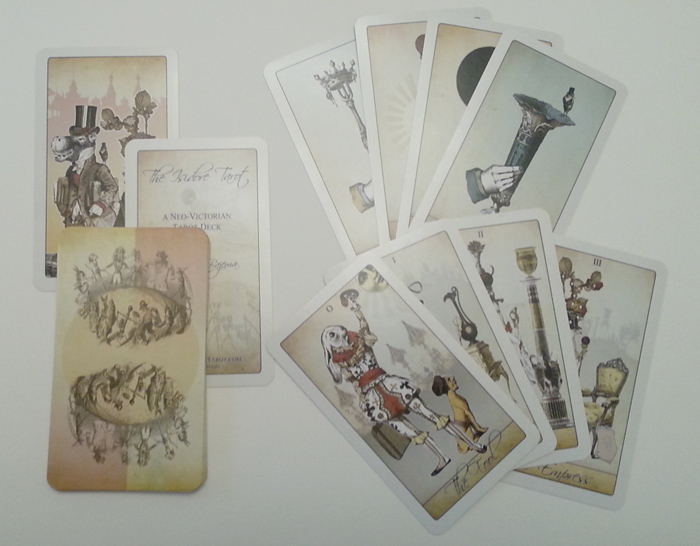 Due to the nature of this product we do not offer refunds for tarot deck orders. View our F.A.Q. page for more information. By ordering from this website you are agreeing to our site’s terms and conditions. If you have any questions please feel free to contact us.